Israeli nonprofit cuts red tape to help people directly – J. According to the United Nations, large aid groups typically spend 60 cents of every donated dollar for operational expenses. Now a small group of Israeli and Jewish investors has decided it’s time for a new model. The 3 Million Club, named for the approximate number of children who die annually worldwide due to malnutrition, allows people to purchase lifesaving products produced and distributed by vetted partners in the recipient country. The online venture began with a pilot program enabling donors to purchase a specially formulated, nutrition-filled peanut butter paste, RUTF, distributed in cooperation with Real Hope for Haiti. It reportedly helped nourish some 2,000 children back to health. Another product available on the site: the Hippo Roller, which enables women, children and the elderly to collect five times more water than in a standard bucket.Other products related to food, health and shelter will be added soon, officials said. “Local organizations and factories really appreciate how we empower and trust them to serve their own communities by partnering with them directly to produce and distribute lifesaving items,” CEO Chamutal Afek-Eitam said. According to Afek-Eitam, the average international NGO spends 60 percent of its budget on operations, while the 3 Million Club uses 80 percent of every U.S. dollar spent in its online shop toward the purchase of lifesaving items. The remaining 20 percent covers online maintenance, transaction fees and payment to manufacturers, she said. The 3 Million Club is registered as a 501c3 nonprofit in Miami, with all R&D and operations currently in the Tel Aviv offices of Wix. The nonprofit was founded in August 2014 by innovation and technology angel investors Franck Benhamou, Dan Vigdor and Ran Tushia. It has support from Wix, eBay, Fiverr, the Lexinta Group and Spotinst. Afek-Eitam has 16 years of experience in humanitarian aid and international innovation development. 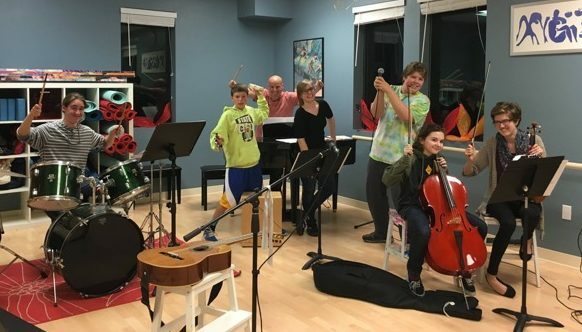 After growing up in Israel and serving as a combat medic instructor, she went to volunteer in war-torn Kosovo in 1999 and ended up staying there for three years. “Since then, I’ve done emergency relief work and education programs on behalf of international NGOs and UN agencies while living in Eritrea, Sri Lanka and the Democratic Republic of Congo,” she said. Following 10 years of field work, Afek-Eitam studied for a doctorate in the Netherlands, researching how organizations use technology to learn and apply lessons from one disaster to the next. With Web technologists Ishay Green and Leon Fedotov, she developed the Humanitarian Genome platform to aid organizational learning in times of humanitarian emergencies. Two and a half years ago, she returned to Israel after 16 years abroad to give birth to her first child. At that point, the idea of the 3 Million Club was hatched. The group, which had two employees as of early last month and outsources much of its work, is seeking more funding to develop tracking technology as well as strategic partners to meet humanitarian needs. 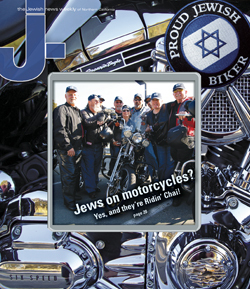 Jews on motorcycles: Yes, and they’re Ridin’ Chai!